Now is the perfect time to consider installing new windows or replacement windows. We finally have a break from the extreme weather in Denver, and that means installation of new windows would be quicker and easier than in the cold winter months. Also, you may want to think about the energy savings that new windows can offer you throughout the blazing hot summer months. Wouldn’t it be nice to lower your energy bill? Take advantage of the seasons changing and treat your home to an upgrade with new aluminum windows, casement windows, garden windows, or double hung windows from Gravina’s. Find out more about any of our offerings by exploring our website or calling us at (303) 472-8462. 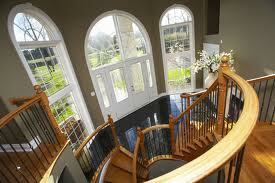 We specialize in residential window installation and residential window replacement.